Become a partner with the largest community phone number reverse search platform worldwide and benefit from our extensive database including millions of phone numbers. Gain access to our database for reported scam numbers in over 40 countries worldwide. Use our API for real-time requests and protect your company and customers with the knowledge of our data. 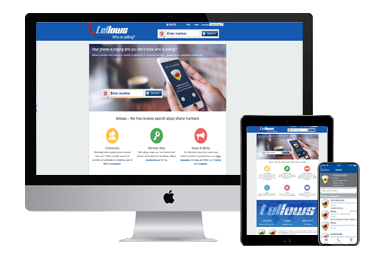 Over 7 Million users in over 40 countries use tellows every month. People who have been contacted by unknown callers look up the number in our database. They can leave a comment and warn other users. Others gain helpful information and learn how to deal with these phone calls. 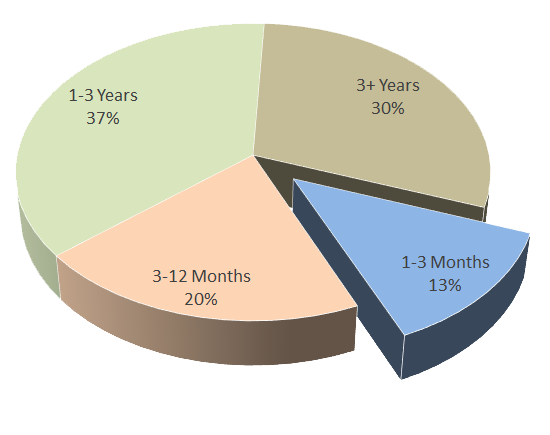 A markets are the most important tellows markets with 4.4m visits / month covering 80% of the total community; Germany, United Kingdom, Italy and France are the most important markets. The tellows score is classified by our community on a scale of 1 (where 1 is very trustworthy) to 9 (where 9 is very untrustworthy) and entails harassment calls including aggressive advertising. To calculate the scores, tellows uses a complex algorithm to arrange individual numbers, considering several factors and the users’ opinion in the equation specified above. Therefore, all tellows users can see from a quick glance, whether the person calling is a trustworthy caller or not. Our API solution provides you with all of the relevant data about phone numbers from tellows with just one request. Our live-API is suitable for integration into phone systems or app solutions. You can specify your output with several request parameters including the limitation to the country, language, tellows score and amount of comments. The blacklist contains all numbers that have been reported or searched for within the last 30 days. One third of the numbers have a very short lifespan. The chosen criteria turn the blacklist into an up-to-date resource that only contains active numbers. 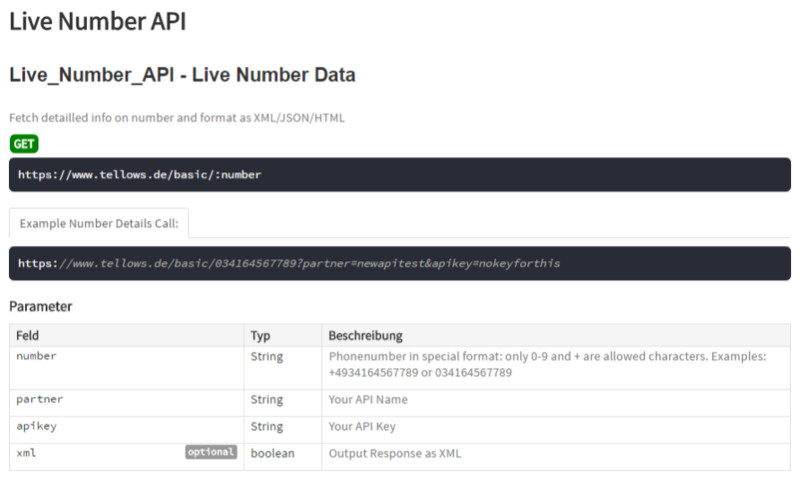 The API allows you to receive all relevant numbers in one request. Get more information on how to use the API. If you are interested in a partnership, please send us a message with your company details, your field of application and your use for the tellows data. We are happy to answer your questions. Spam Check: 5 + 18 = ?